Next year, adults re-entering the U.S. by land, ferry, or small boat will be required to present either a passport or a government-issued photo ID and proof of citizenship (e.g., a birth or nationalization certificate). Proof of citizenship alone is required for children 18 and younger. The rules are slated to take effect on January 31, reports USAToday.com. 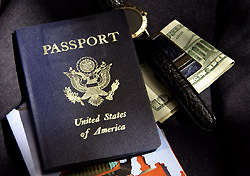 For now, cruise passengers are exempt from the passport requirement, but cruise ships do require both photo ID and proof of citizenship. Air travelers have been required to have passports since January 23 of this year, though those requirements were relaxed over the summer due to massive passport processing delays.